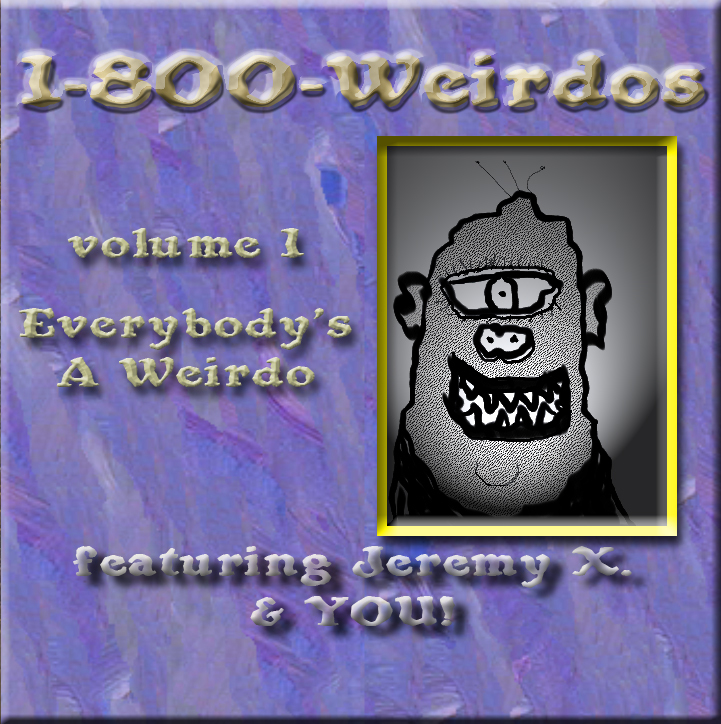 the 1-800-Weirdos CD on iTunes! Give to the Weirdos cause. YOU ARE NOW TUNED TO WEIRDOS TV! Call 1-800-Weirdos (800-934-7367) or Skype us at weirdos999 RIGHT NOW and be on the air. If you are in Manhattan NYC, we are on MNN Channel 3 (Spectrum Channel 1997, RCN Channel 84, and FIOS Channel 35) every Saturday night at 11:30 pm! !